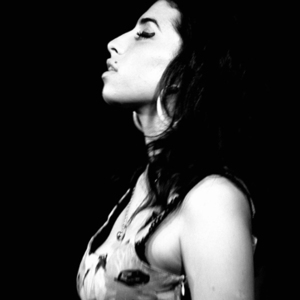 Amy Jade Winehouse (born 14 September 1983 in Southgate, London, died 23 July 2011 in Camden, London) was an English singer and composer, known for her eclectic mix of various musical genres including soul, jazz, rock 'n' roll and rhythm and blues. Her musical formation went through listening to such jazz divas as Ella Fitzgerald, Billie Holiday and Sarah Vaughan; she was later influenced by contemporary metropolitan popular music as well. She represented a union of these aesthetics: a happy fusion of '40s jazz, '60s soul and hard texts inspired by daily life. Her musical formation went through listening to such jazz divas as Ella Fitzgerald, Billie Holiday and Sarah Vaughan; she was later influenced by contemporary metropolitan popular music as well. She represented a union of these aesthetics: a happy fusion of '40s jazz, '60s soul and hard texts inspired by daily life. Winehouse received significant media attention for aspects of her life other than her singing. Her distinctive style, most notably her signature beehive hairstyle, has spawned imitators and been the muse for fashion designers such as Karl Lagerfeld. Her drug and alcohol addiction, as well as her self-destructive behaviour, have become regular tabloid fodder since 2007.